1Day. 1Day + Plus . 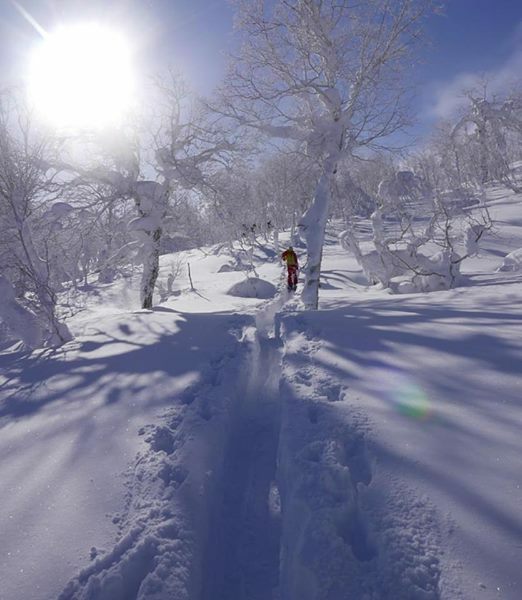 Backcountry Ski tour in Hokkaido. Certified JGMA guide (Japan Mountain Guide Association). 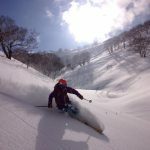 Born and raised in Hokkaido your guide has a wealth of local knowledge and will get you to the best lines possible. 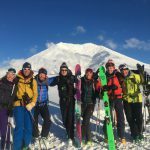 Throughout your 7 day stay you will get to know the Japanese way of life and have a unique cultural experience including charming inns, luxurious hot springs, and authentic cuisine..
Utilizing major resorts and numerous mountain areas, this plan is designed to offer the very best of Hokkaido backcountry skiing. Some of the main mountain areas of Hokkaido are Central Hokkaido (Niseko, Kiroro, and Rusustsu), Taisetsuzan (Asahidake and Kurodake), and Tokachi (Furanodake, Maetokachidake, Sandanyama). Hokkaido is the northernmost island of Japan. Its geographical location and cold temperatures bring daily snowfall and as a result the light, dry snow of Hokkaido is extremely popular. There are tree-runs through coniferous forests, lines down active volcanoes, and low elevation mountains when bad weather prohibits hiking to higher slopes. Hokkaido has it all. Guide to Guest Ratio: 1 guide for every 5 guests. If there are more than 5 guests an additional guide will be provided. Powder Snow Season: January, February, and March though there are days with icy slopes and rain. 1Day tour : We can decide our meeting point/time in advance accordingly to tour needs. We will travel to the trailhead / ski resort to start our tour. 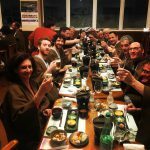 After our tour. we can enjoy local onsen(hot spring) to relax our tired muscles. I can drop you off at a place of your choice ( within reason) at the end of the day. Skinning up from the base of mountains without lifts to find untouched slopes to ski down. Estimated hikes are about 2 to 4 hours to slopes that can be yo-yoed or if the conditions allow, maybe a climb to the peak. Using resort lifts to access the best slopes within range, a combination of skinning and gondolas are used with a priority on maximizing the number of runs. These two approaches are used on the 7 day tour depending on weather conditions and other variables. If there are 6 or more people in a party 2 guides will be provided and the fees will vary. Please inquire for those fees. 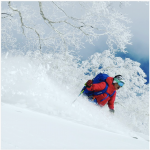 ★Fees don’t include: Accommodation, food, lift tickets and transportation to and from airport *Airport * hotels pick-up and drop-offs can be arranged for a separate fee of Yen10,000. 7 guest maximum. Your own skis (fat skis longer than 95 centimeters from the center of the skis are recommended for powder snow). 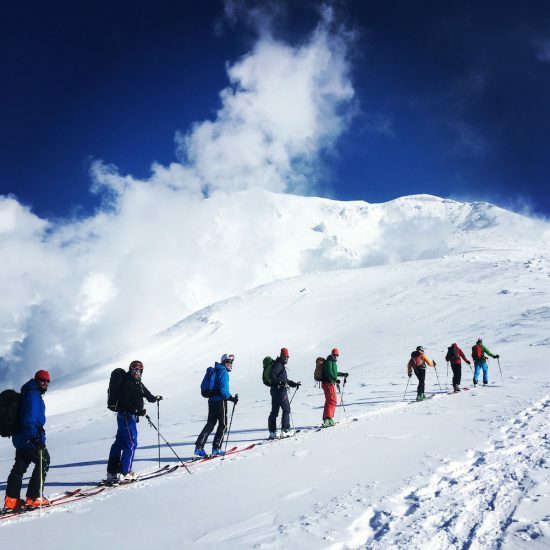 Ski boots, skins, ski crampons, and poles. Renting skis and boots is possible, but due to limited sizes and the difficulty in finding proper fit, not recommended. If you do need to rent skis and boots let us know you’re your boot and preferred ski size before coming to Japan. Lodging will be booked in accordance with your price preference. TAKT tours usually stay at Japanese style inns where 2 to 4 guests share a tatami floor room. The typical cost for an inn is Yen 12,000 to Yen 15,000, but if you prefer, a lodge or pension style accommodation can be arranged for slightly less. These pensions and lodges may have a bath unit but there is no hot spring. However, a trip to a nearby hot spring could be arranged. Accommodations for the last day of the tour in Sapporo are at a city hotel where a single or twin room will be reserved. TAKT tours are not under the jurisdiction of the Japanese Travel Agency Act. Prior to the start of the tour participants are required to have travel insurance with coverage of accidents and rescue in mountainous areas in order to participate. Please understand that traveling by car is only covered by mandatory automobile liability insurance. Please be aware that in cases where weather conditions and other circumstances beyond human control cause changes to or cancellation of plans the understanding and compliance of the guest will be required. Determine the dates and details of the tour through E-mail. After the tour schedule has been made reserve a guide for the dates ‘ At this point the application is official and a 10% deposit for each guest is required. The balance must be paid prior to arrival in Japan. Accommodation fees and lift ticket fees should be paid in cash or by credit card on the appointed day during the tour. If there is a cancellation 10 to 30 days before the start date, 50% of the total fee is due. For cancellations 3 to 10 days prior to the start date, 70% of the total fee is due. If there is a cancellation within 3 days of the start date, the total cost of the tour must be paid.